We’re changing the way government buys ICT products and services. The DTA is changing the way government buys ICT products and services. We’re working on a series of reforms to make it easier for small and medium businesses to sell to government, simplify processes, avoid duplication, and consolidate and coordinate whole-of-government buying. At the centre of this work is a new ICT Procurement Framework. This meets Recommendation 1 of the ICT Procurement Taskforce Report — to guide policy and decision making. Earlier this year an exemplar team worked out of the DTA, researching how a framework for ICT procurement could be used, and what those using the framework need out of it. The team was made up of people from the Department of Human Services, Australian Tax Office, Department of Finance, Department of Home Affairs, Department of Defence, Department of Health and the DTA. At the end of their research they had written a draft framework. Today we’ve released that draft for feedback. 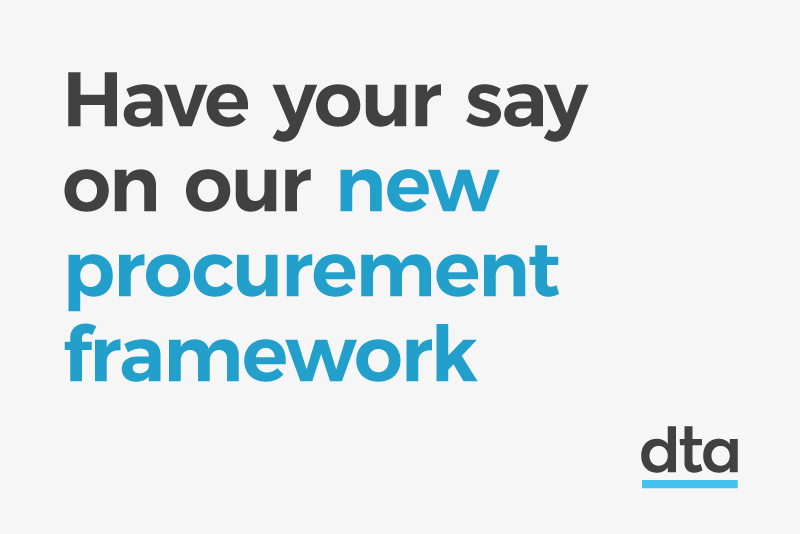 We want to hear from anyone who will work in this framework. That’s both people from government agencies — especially those in procurement — and from industry, especially those that sell ICT to government, or want to in the future. Read the draft framework, learn about what we found through our user research, and provide your feedback.